Today I review something a little bit different. 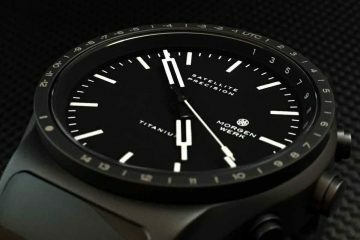 Many watches have a theme, such as a dive watch, pilot watch, sailing, yachting, field watch etc, today we look at the Culinary Watch, by Morpheus Fine Watches, or its full name the Master Chef Culinary Watch. Now, while most of the theme or styled watches I spoke of are modeled after or meant to be used in those specific categories, the Culinary Watch is more a fun watch with some restaurant (mostly cookware) inspired designs, as opposed to one that would really be used in the kitchen as a chef. I chose to review this watch, because I spent many years in the kitchen for a living, and because I’m still passionate about food and cooking, so I thought this would be a fun watch to review. 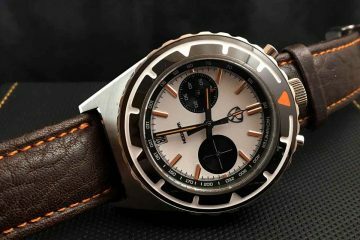 Obviously this watch is not going to be for everybody, but for the watch guys/gals that also happen to be chefs/cooks, work in the industry etc., it might be worth a look for them. As I said, the Morpheus Master Chef Culinary Watch is a little different, fun and funky, but not over the top in my opinion. In the video below I give a good look at the watch and talk about is features. Please watch the video presentation. The Culinary Watch comes in a lacquered wood box and has your normal pillow on the inside in which your watch is wrapped around. It is a nice wood box, and something a little above the cardboard or rubber boxes from some companies. (It would be cool though if they put it in a package that had something to do with culinary, like if it came in a knife roll or something). The 42mm case is a nice everyday size for most people, and is done in all satin stainless steel with the exception of the outer bezel, which is high polished. The case is definitely unique and something that was custom made as opposed to an off the shelf case. On the non-crown side, you will find the words “culinary” deeply engraved. When it comes to the crown, it is designed after an oven knob, and a pot handle for a somewhat crown guard. 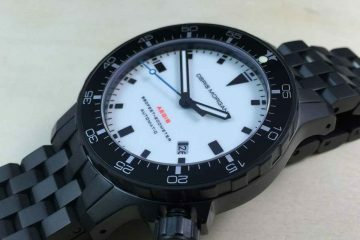 Even though only water resistant to 5 atm(50 meters), it has a screw down crown. The lugs have rivets that attach them to the case, or it looks as such anyways. I am not sure if they are decoration or actual rivets. I have been wearing the gold version of this watch for about 3 months now. I love the look and unique style, it really stands out. I get a lot of comments from my friends in the restaurant business. I don’t wear it in the kitchen but for all other times and occasions. I am no chef but wearing this watch makes me quite a cook in our own family kitchen. Seriously though, you don’t need to be a chef to appreciate the beauty of this clockwork. 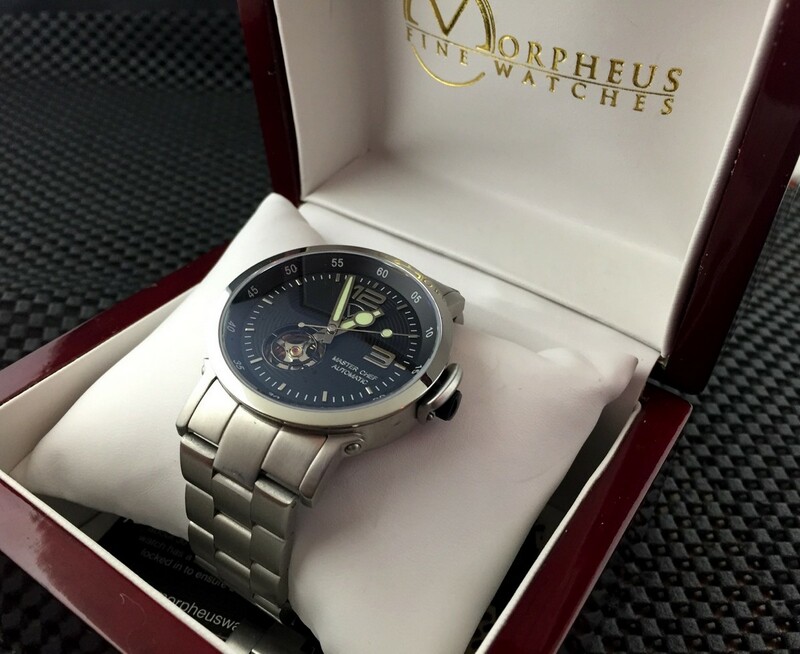 Expensive watches do live up to their namesakes through its longevity and this Morpheus fine watch adds beauty to its attributes. Highly recommended!